Hart Design is a creative design agency in Auckland. We partnered with Webster Group to deliver a new logo design, graphic design for various marketing materials, and a modern mobile friendly website design. 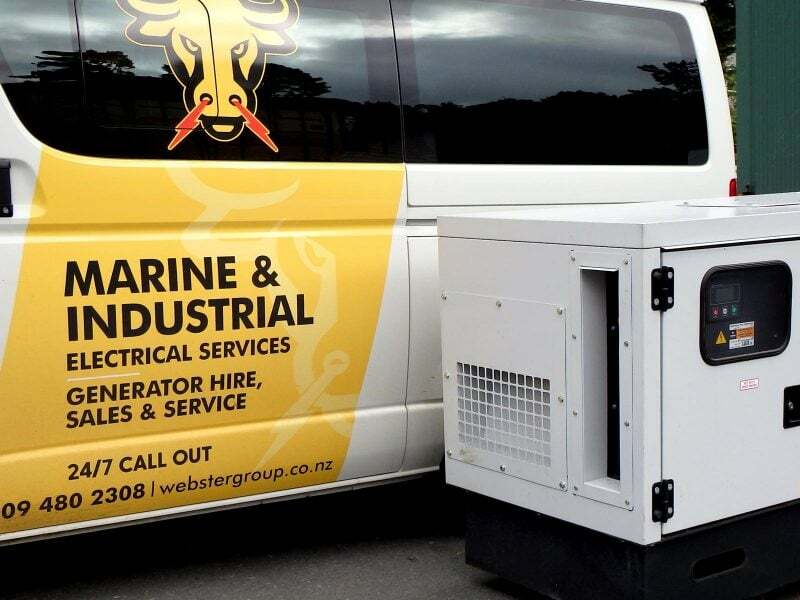 Webster Group specialises in generator hire, generator sales, electrical and mechanical engineering services, throughout New Zealand and the Pacific Islands. 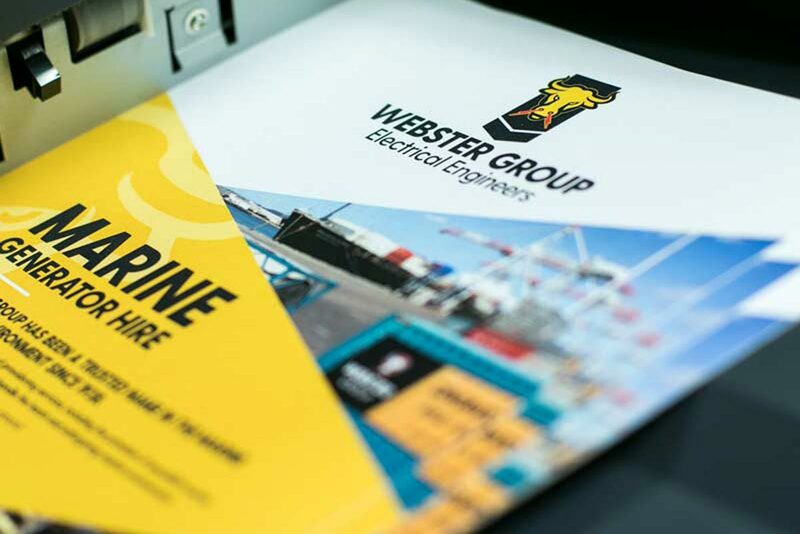 For more than 75 years, Webster Group has been providing marine and land-based generator power and skilled industrial electrical services, nationwide and as far as the Pacific Islands. 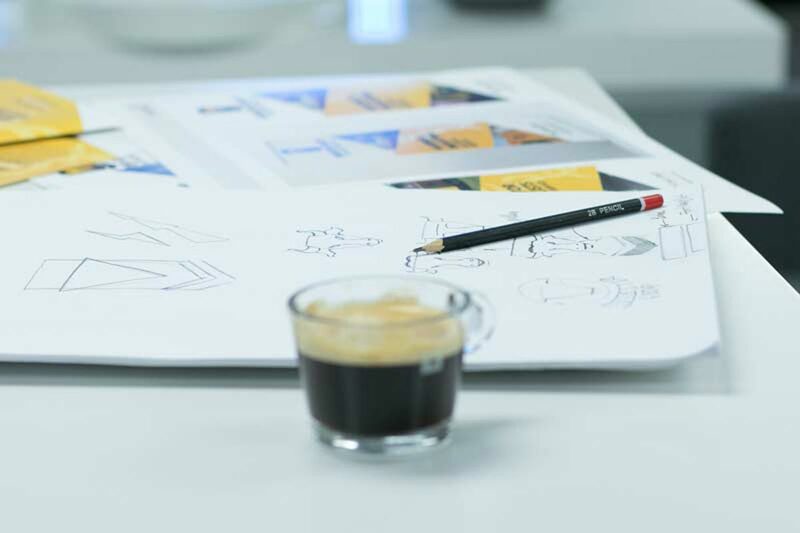 We specialise in developing a creative, professional brand across print and web media. An established company, Webster Group had a logo design that didn’t quite reflect the level of professionalism and expertise that they are known for in their industry. Our team of talented logo designers recreated their logo to a polished, professional standard. The goal was to retain brand recognition by keeping some core elements of the original logo, and elevate the design to a new level. On the back of the logo design, our graphic designers extrapolated this new look across a range of branding projects from business stationery to pull up banner stands, vehicle signage concepts and brochure designs. 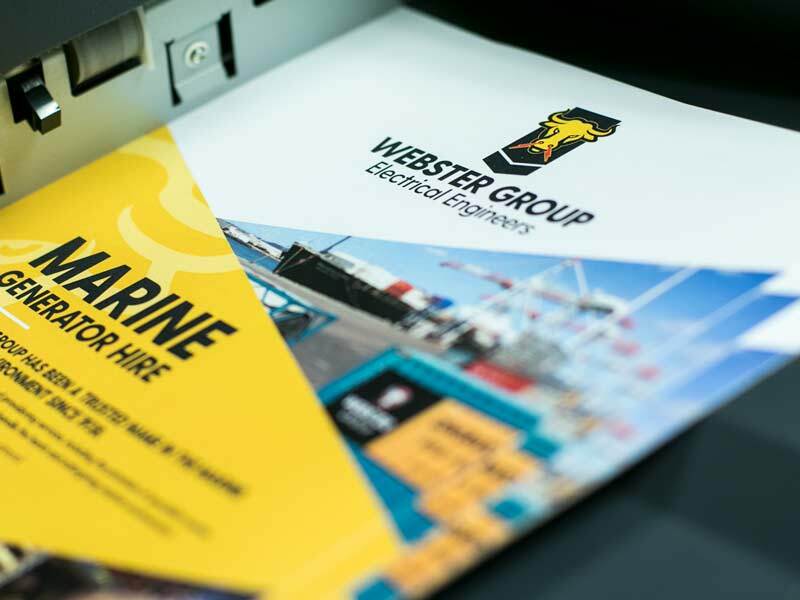 Our Auckland graphic design team brought consistency to the Webster Group brand, where it previously lacked direction and uniformity. As professional graphic designers, we bring conviction and confidence to your brand. It’s what represents you in print and online media. Hart Design offer professional web design services to Auckland businesses. We’re building mobile friendly websites. Our unique approach to website design means you get a site that’s specific to your business. Unlike many Auckland web designers, we won’t try to shoehorn your website into the same tired old website template. For a unique, professional website development service, try Hart Design. We know you’ll appreciate the difference. Check out the Webster Group website here. 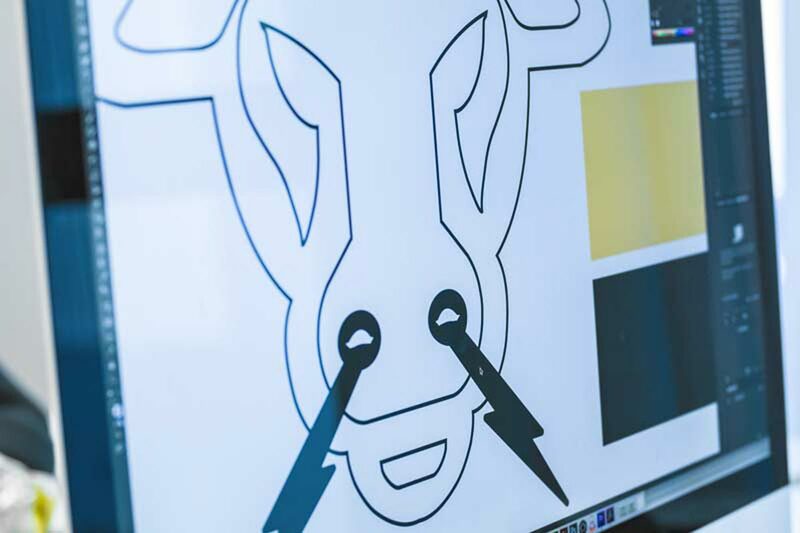 What do you get when you combine logo designers, graphic designers and website designers? You get a creative design agency! At Hart Design,we pride ourselves on delivering professional design services for both print and media. If you’re seeking a high quality creative design agency, try Hart Design for a full creative design service. Check out of range of capabilities here. Looking for branding with grunt? We can generate the perfect look for your business in print and on your website.